This looks interesting. Don’t forget the other 5 parts! “Kevin Cyron, an American living in the Russian Federation who recently graduated with a Masters degree in Sociology from St. Petersburg State University, has agreed to Russia Blog publishing his thesis titled, “The Misconception of Russian Authoritarianism (doc)“. More on the difficult relationship between Britain and the EU: “Britain is becoming semi-detached from the rest of the EU – and an establishment in denial of the political nature of the European project is to blame, argues Peter Sutherland”. Also read the response by Certain ideas of Europe here. Democratic deficit or simply boredom? The Black Sea region, once on the periphery of European consciousness, has become the next frontier in transatlantic strategic thinking in terms of energy security, trade, migration and other key policy areas. In this volume leading international experts examine the new dynamics of the Black Sea region, including perspectives from the region, trans-regional issues such as energy security, cross-border conflicts, democracy, civil rights, the rule of law, and future relations with Russia, the EU, NATO and other key actors. The formation of a new government in Serbia offers modest hope of progress in its path to European Union membership, say Daniel Korski & Ivan Zverzhanovski. Is the label “euroscepticism” misleading? The idea is that labels such “anti-EU” or “anti-Europe” would be more suitable to describe “Eurosceptics” since most people that would put themselves in this category actually oppose any Europe wide approach. Very interesting thought! 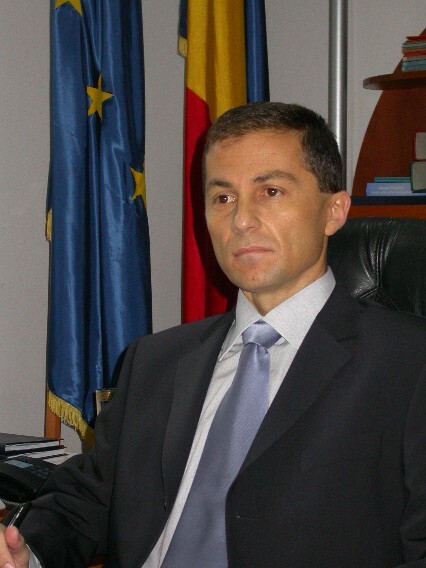 Blogs are one of the latest additions to the Romanian political landscape. From a totally unknown concept, they have turned overnight in fashionable tools, a “must have” for any politician who wants to be taken seriously. In fact, most of the politicians pay small fortunes to have a blog (although most of them use free services such as blogger.com and wordpress.com). A lucrative business for young IT students and graduates. Here you can read sharp (and often quite critical) and to the point analysis (including statistics) on the inclusion and impact of new media tools (especially blogs) in Romanian politics. But apart from the mere presence in the blogosphere, do the Romanian politicians’ blogs have any real impact on their image or their electoral capital? This remains to be judged, taking into account the election results. However, what is more interesting and tells a lot about the personality of the blog owners is the way they use the blogs and their way of dealing with comments.Having spent the last fours years in the opposition, the Romanian social-democrats (PSD) are trying to win back people’s trust in the context of the electoral year 2008. Nothing unexpected, so far. However, this time they are making use of a bit more than the usual campaigning methods. Already for about a year now, quite a few leaders and notorious members of the Social-Democrat Party started having blogs, where they comment (some more frequently than others) the latest developments and describe, in the eve of elections, their electoral campaigning trips throughout the country. Maybe not surprisingly, in dire need of a new, fresh image, the social-democrats are the most active new members of the Romanian political blogosphere. Be it a former President or Prime Minister or a Member of the European Parliament, they all try to catch the attention by describing (arguably some more eloquently than others) their daily business, reacting to various events and declarations, advertising and commenting books (theirs or others’) as well as their TV appearances. Thus, an important number of blog posts are issued every day, generating a reasonable amount of traffic and quite a few comments. Until now it actually sounds like a very good example of what a blog is meant to be: an open forum of ideas and debates. However, if you start reading the whole thread of comments (which sometimes can get extremely irritating, I confess), you soon realise that something is not quite as it should be. Most of the comments are just praising the author, in a completely uncritical way, the very same people (one merit has to be acknowledged: a very loyal, if small, audience was created around these blogs) comments in the very same way on all the blogs, the authors are very often complimenting and quoting each other and so on. Sometimes it really gives the impression of a spider web, a closed network where the elements are clearly positioned to reinforce each other, a game of mirrors that, only when observed from outside, reveals its artificial, “closely directed” nature. In fact, the blog of the Electronic Communication Service of PSD might give a hint on the organisation of the “red” Romanian blogosphere: it acts as a hub for all official blogs of PSD politicians but also includes some “recommended blogs” that, at a closer look, turn out to be the very active and passionate commentators of the former. A few critical comments per post are allowed, of course, as a hint towards an “open dialogue”, but any unfavourable opinion (on their own blog or on any other) is quickly countered, usually giving birth to a new defensive blogpost. It is not the idea of replying to comments in itself that is bothering, it is more about the passionate towards aggressive tone adopted by the writers for their replies. Baring all this in mind, it has to be said that some of the social-democrat bloggers do provide some quality content. For instance, some of the Romanian MEPs (also, not surprisingly, some of the more active ones) are regularly updating their readers about their activity in Brussels and Strasbourg. In my opinion, this is an effort that has to be appreciated, as it sheds a bit of light on what is going on on the EU arena and on the involvement of the Romanian representatives. An electoral device, purely an image tool, or a new defense mechanism, the blog has become a daily presence in the Romanian political arena and it is interesting to see if it will make a difference in the eyes of the electorate.